i like food, do you? Bro. You should know the answer to that one. bearbee11 and Evergreen like this. 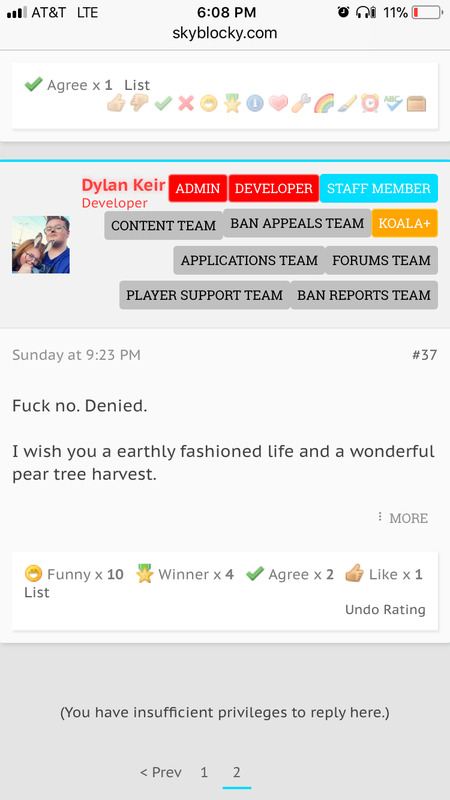 Love your reply to that application LOL. bearbee11, Geographics, TJeye and 4 others like this. Hedge, Hijackninja13 and EwItsKat like this. Honestly he looks Lovely, is that Ellie? EwItsKat and HXAVEN like this. Im sorry i lost it ily ill fix it!